I’ve recently been announced as a semifinalist for the Forever Saint Paul Challenge for the “one million dollar idea” (!!!). I love Saint Paul (That doesn’t mean I don’t love Minneapolis, if you were wondering. The cities are twins and are bound together in time and fate). My idea has to do with art monuments that exemplify our rich cultural histories and how they’ve intertwined with what might sometimes seem like unlikely strands. The project would start by collecting oral histories of neighborhoods all around the city, going as far back into the story of the land and people as possible and finally, erecting a piece of art in a central location with that story and potentially some additional digital “extras”. In a way, this poem begins that sort of thinking about a place. All that history, all those families and communities, are right here. History is not as far as it seems. It’s ubiquitous and vast of course, but it’s all right here. Right now. We cannot be separated from those that have come before us. Many that have come before us still live in homes we did not make for ourselves. 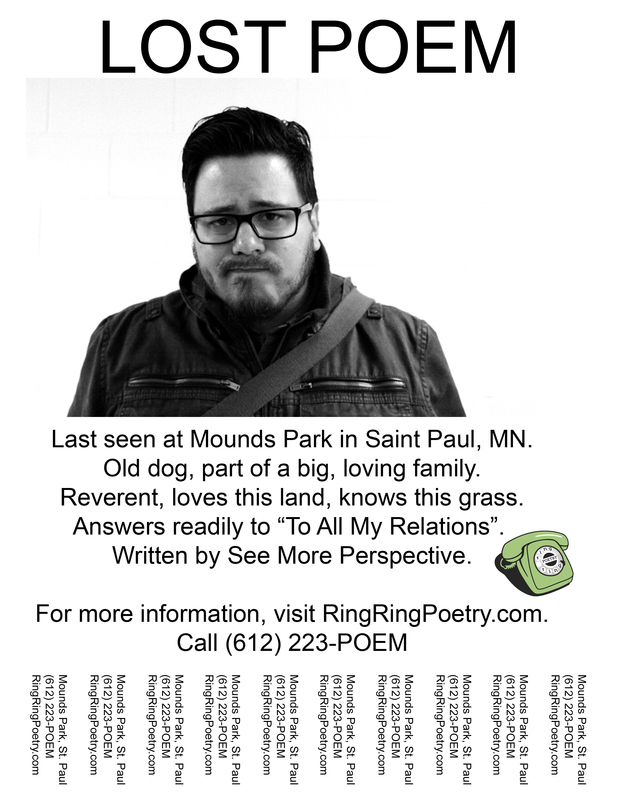 My Saint Paul Challenge idea is about ownership, identity and perspective. I like to think this poem has something to offer in regards to those things. There’s not a lot I can say about this poem that isn’t already in it, but there might be a few things not explicitly stated. When project designer/mastermind Cole asked me to contribute (and where I might write a poem from), I knew it was Mounds. Everything in that introduction is true. The gas station sandwiches, the dates and thunderstorms, BBQs, and all the rest. I’ve known this place for a long time. When I decided where to write about, I knew I had to dig. I couldn’t just write a piece about “how pretty it is” or how “it’s a special place for me”. I needed to mine every ounce of honesty that I could about this place. It goes in a lot of directions from there, but the rest is in the poem.